"Summer on the avenue. Life is good and good for you." Youth was the theme of the night. Gabrielle Aplin is a talented 21-year-old English musician whose debut album "English Rain" has been on constant repeat for me (especially the song "Home", which is available to stream on the left) and apparently also for much of the world. Gabrielle was supported by Mree (Marie Hsiao), a 20-year-old YouTube sensation whose covers I remember watching years ago (particularly "The Way I Am" and "Casimir Pulaski Day". Singer/songwriter Jesse Denaro was the first opener, though I unfortunately missed most of his set. Mree's voice was every bit as silky smooth in person as it is on YouTube. 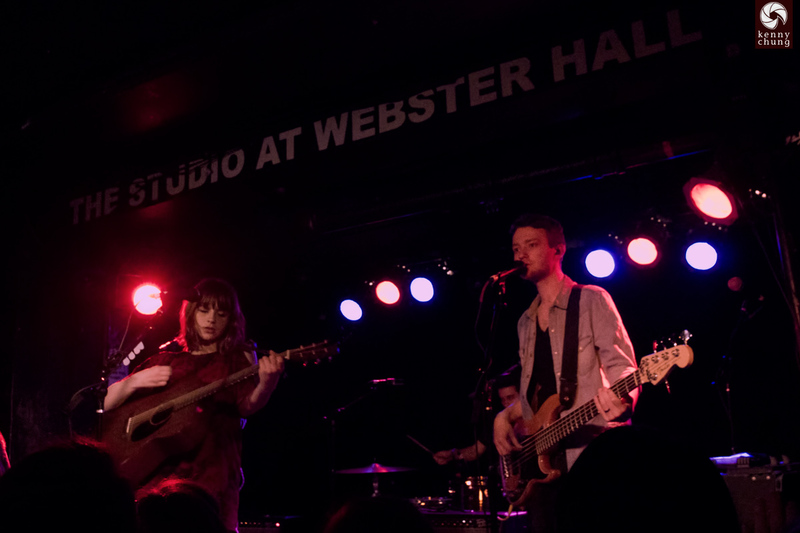 She was accompanied only by her own guitar (which she sometimes swapped for an Epiphone Les Paul), but filled the room with both her strong vocal presence and a looping pedal. She used the looper to harmonize with herself, and for her last song, she used it to record sounds of paper ripping and a pen tapping on a notepad, which was fun to watch. 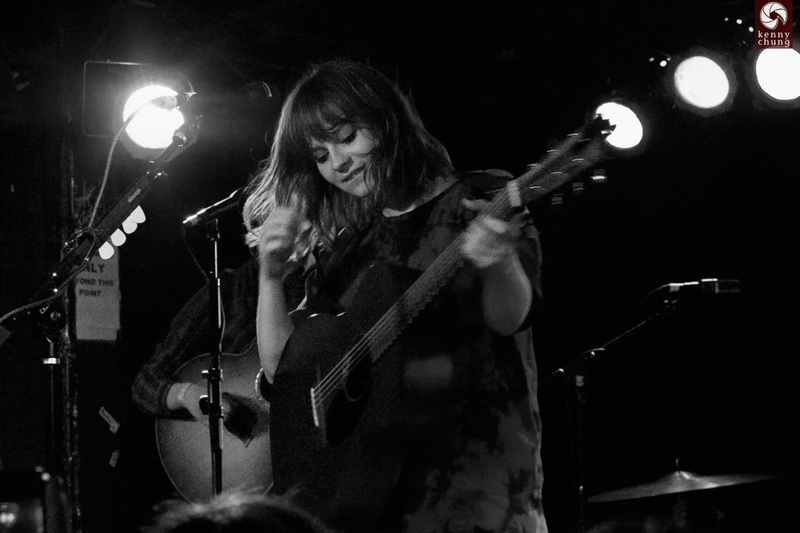 Gabrielle Aplin took to the stage with her full band next. 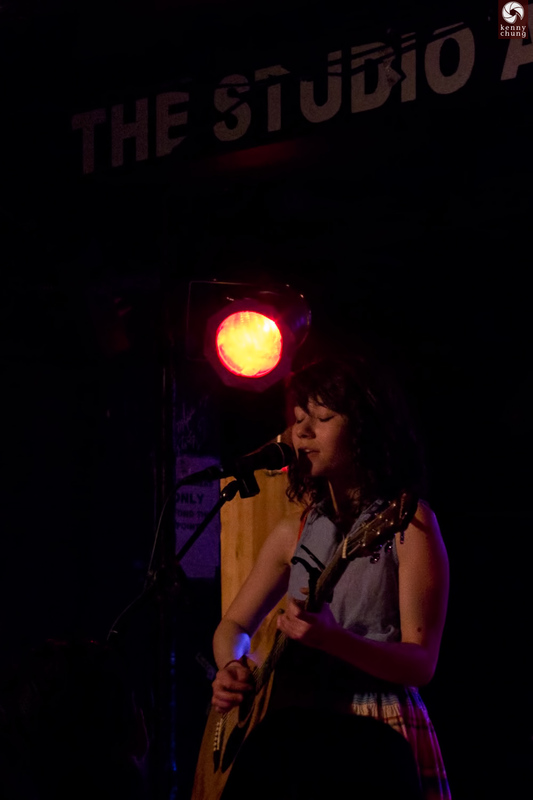 In between songs, she charmed the audience with her inner monologue, including how drinking from a red Solo cup felt like she was in the movie "American Pie". Gabrielle switched guitars between almost every other song. 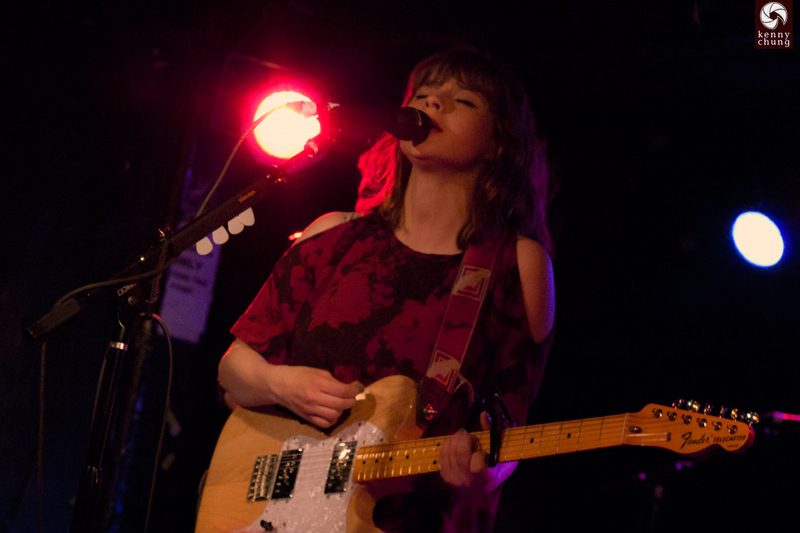 She used at least two Martin acoustics (in different tunings) and a Fender Thinline Telecaster (pictured here). 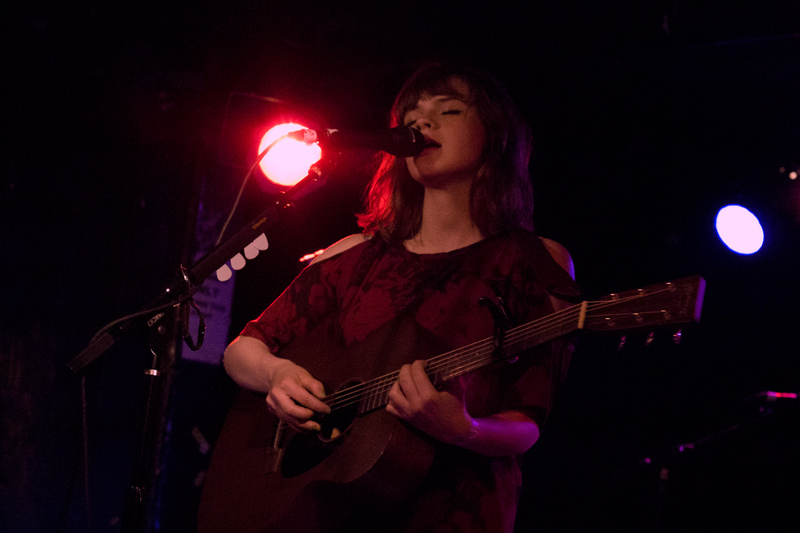 Here's a photo of Gabrielle and her Martin acoustic/electric. She also switched over to the keyboard for a few songs, including her chart-topping cover of Frankie Goes to Hollywood's "The Power of Love", as well as a new song based on her experiences in New York City (this show was her first here). The title of the song was "Summer On The Avenue", and part of the chorus is referenced in the headline of this page. 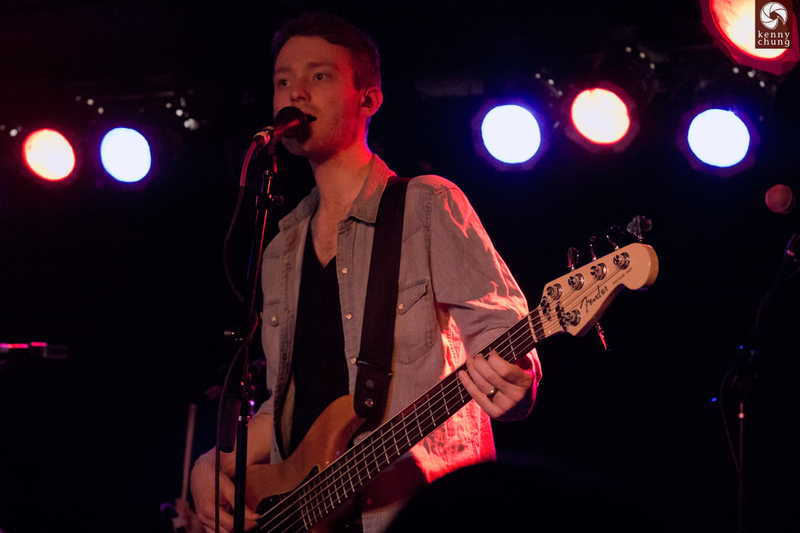 A photo of the band's bassist. They were also accompanied by a skilled drummer, and guitarist who was new to the band. After playing almost her entire album (I think "Ready To Question" was the only song they skipped, but I may be wrong), the band returned for an encore. 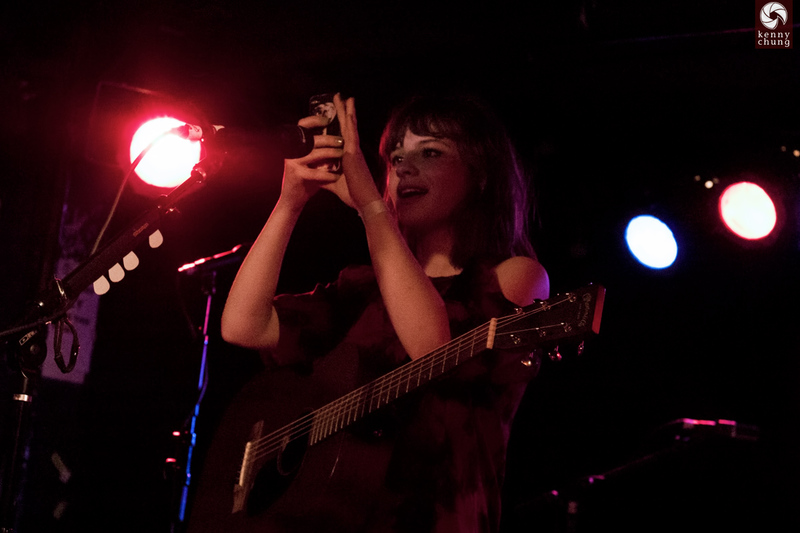 They played a cover, and then Gabrielle paused to take a selfie with the crowd. The resulting photo can be seen on her Instagram. 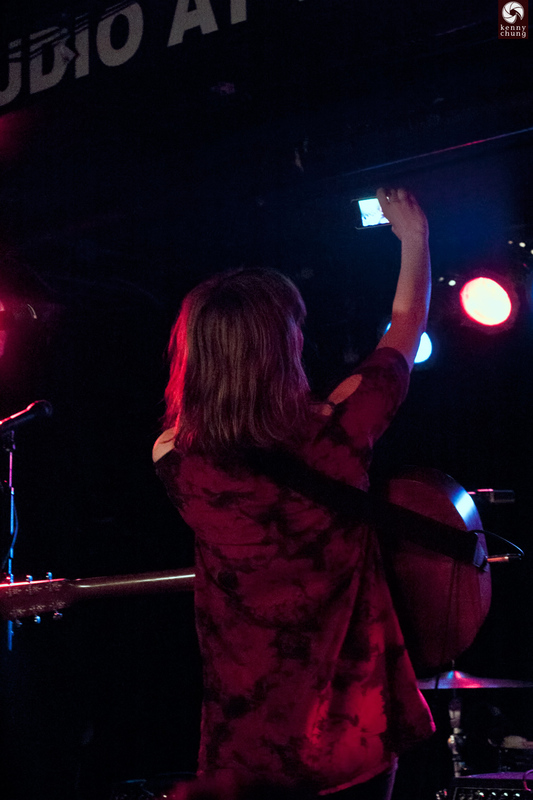 After lamenting that she looked like a thumb in the selfi, Gabrielle attempted a panoramic shot of the crowd next, and then finished her set with "Home". The band left the stage, but as a result of the crowd chanting for one more song, they returned for a second encore and played "Human" to end the night.